Corey Kenyon replied to the topic 'Looking for unused parts for Disco 1' in the forum. 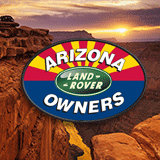 Corey Kenyon created a new topic ' 1996 land rover discovery for sale' in the forum. Corey Kenyon created a new topic ' Guest member new to Rovers' in the forum. Hello to all. I am Corey, I live here in Cave Creek, Arizona. I have recently purchased a Discovery 1 and I new two Land Rovers altogether.